Heeft u een vraag voor Hualiendaily B & B? Gerenoveerd in 2013, garandeert het Hualiendaily B & B gasten een plezierig verblijf in Hualien voor zaken of plezier. Het hotel ligt niet zo ver van het stadscentrum: de afstand is ongeveer 1.2 km en het duurt normaal ongeveer 22 minuten om het vliegveld te bereiken. Dankzij de praktische locatie liggen alle belangrijke trekpleisters in de buurt van het hotel. 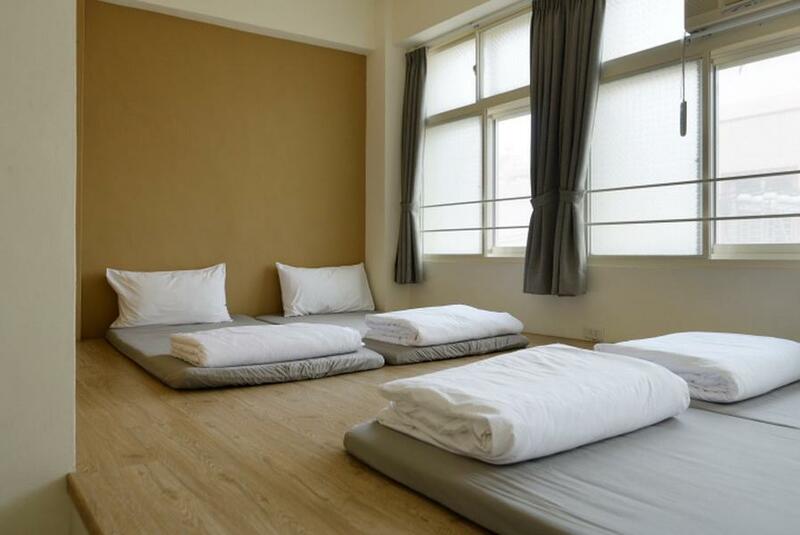 Het Hualiendaily B & B biedt tevens vele faciliteiten om uw verblijf in Hualien zo aangenaam mogelijk te maken. Het hotel heeft een uitgebreid aanbod aan services, inclusief gratis wi-fi in alle kamers, snel in- en uitchecken, bagageopslag, wi-fi in openbare ruimtes, familiekamer. Treed binnen in één van de 8 uitnodigende kamers en ontvlucht de dagelijkse stress met een breed scala aan voorzieningen, zoals thee, slippers, aparte woonkamer, internet (draadloos), draadloos internet (gratis). Daarnaast garanderen de talrijke recreatieve mogelijkheden dat u zich tijdens uw verblijf kunt vermaken in het hotel. 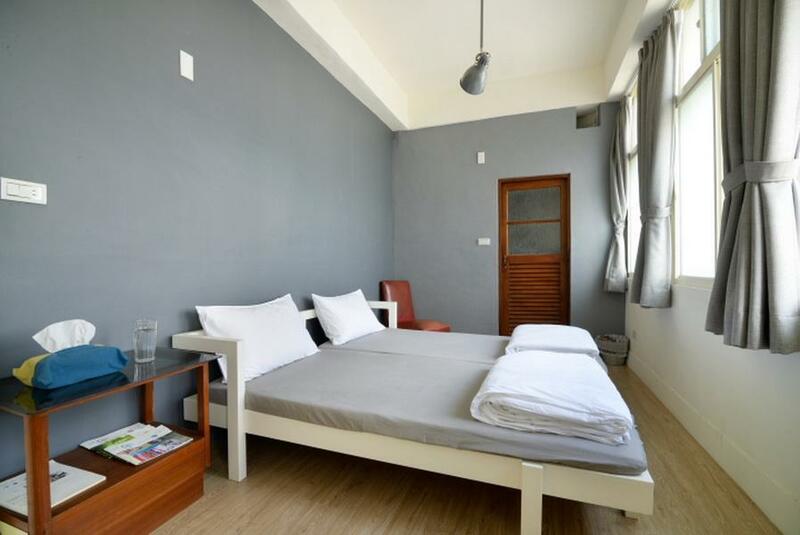 Wat de reden van uw bezoek aan Hualien ook is, het Hualiendaily B & B is de perfecte keuze voor een enerverende vakantie. As captioned but the staff was good - it happened at night and I felt so sorry to bother the host, but I really couldn't stand for cold water shower when it's February a winter weather. The very helpful staff brought me to the staff bathroom downstairs for a hot water shower instead so I didn't get to catch a cold. Thanks very much! Would be nice to revisit again in future! The staff deserve 10 out of 10 as they were incredibly helpful....they could not be faulted. I was given the single room on the 5th floor, facilities I could not rate higher than a two....no maintenance has been done for years. Air conditioner does not cool, needed fan on to cool room. The shower...has two shower heads that spray water all over the bathroom, The mattress was not comfortable, peeling paint in the room, no toiletries provided, basically hostels provide better facilities. I paid approx $50 Aus a night....at that price point it is definitely not worth it.....it's a pity all it needs is basic maintenance....because the staff were wonderful. 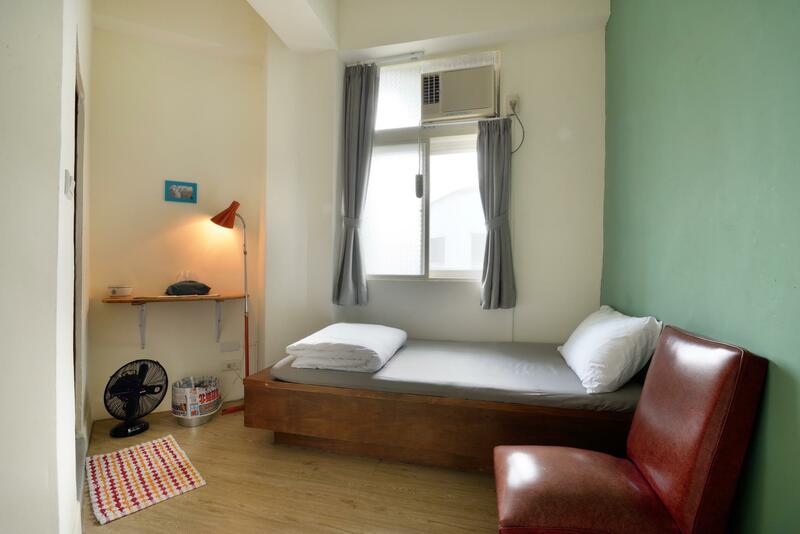 20 mins walk to haulien train station, location at the center of hualien. the hostel is also a cultural meeting place for local people. the single is cozy with a private bathing and toliet. Though we booked the room as "breakfast included" for our stay of three nights, the hostel meant we could only have one single breakfast (at a day we could choose), which we heard for the first time and did not understand why. We accepted it since we did not want to argue. The room is very small, without amenity, nor any kind of room service. They did not clean our room during three days. We will not recommend this hostel to anyone and do not understand why it is scored so high in agoda. The room is not equipped with necessary furniture such as a sideboard for your cup etc. merely a bed for sleep. yet you cannot sleep well since the room facing the street is really noisy, the sound of motorbike wakes you up all through the night. The score in agoda is too high! I don't think it deserve. The breadfast is healthy and it offers many book for tourist such as tour guide, which is convenient for traveller. However, the facilities are too old. No TV in the room, and the air conditioning is too loud! The surroundings is so so . You can feel staff's hospitality as soon as you step into the place. The room is not big, however its neat and clean. It's a perfect place for bakpackers. Retro looks its kind a image. For the rest a regular bnb without breakfast and very basic facilities. If you have enough budget, i recommend choosing Hualien daily B & B, it consists of a Taiwanese style building that has more than 30 years old history, you can see great renovations with old and new elements, they even kept the tiles with old style pattern, which was really cool, and couldn't see anymore cooler than that.